Professional and qualified employment recruiters in Milwaukee can offer an unparalleled litany of benefits (and job hunting advantages) to prospective applicants. Deciding to team with employment recruiters in Milwaukee means that you will have access to their established network of hiring managers and gain submission to various opportunities that you qualify for. In short, working with the right group of employment recruiters in Milwaukee can help you move to the front of the applicant line to garner you resume the attention that it deserves. Of course, employment recruiters in Milwaukee can only help you get noticed by employers after they’ve actually noticed you themselves. Because a reputable recruiting firm can truly make all the difference in an actual hire, you may also find yourself competing with other candidates vying for a recruiter’s attention. While an established firm may have a large number of applicants at any given time, it is possible to effectively command attention and have your recruiter clamoring to get you in front of hiring managers. Many candidates assume that the more jobs they apply to, the better their chances of getting noticed by an interested recruiter. Not true; haphazardly throwing out your resume to jobs that you aren’t qualified for can actually work against you. Recruiters in any industry don’t want to work with candidates who may have unrealistic placement expectations. Showing them you know where you’ll make a great fit can instantly separate you from other applicants. No qualified employment recruiters in Milwaukee will submit your resume to a hiring manager before 1) at least phone screening you, although many local recruiting firms will also schedule an in-person meeting, and 2) checking your references. Having your list of references before you even begin the process will help you stand out from the crowd and minimize the overall amount of time needed to get you confirmed as a viable candidate. Yes, you may be an expert in your specific industry; however, recruiting teams are experts in getting people hired. An innovative firm will always want to partner with candidates when submitting them to various positions to coach them on a host of factors such as what to expect, the type of internal culture fostered at a company, and even different hiring managers’ specific approaches to interviewing candidates. Being open to input and proactively seeking suggestions on any given submission can help you stand out from less willing applicants. Oftentimes, candidates can consider their relationship with employment recruiters in Milwaukee as a one-time engagement. Teaming with your firm for a long-term professional partnership not only helps you stand out, it can also yield impressive benefits as well. Acting professionally throughout any hires you may have with them, offering industry referrals of your own and keeping in touch is a great way to stay on their radar so they are ready to place you the next time you’re ready to begin the search. 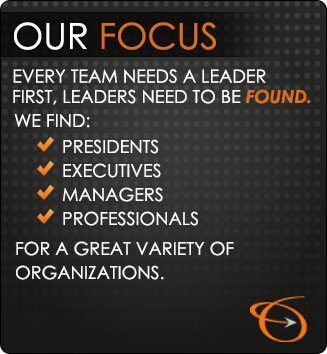 For more information on the team of recruiting experts at Lawler Group and a list of current candidate openings, contact us today!